Anniversaries can be funny things. As we observe (“celebrate” somehow seems wrong in the context) the 100th anniversary of the First World War, it’s not always easy to pick a precise date to mark. What day, exactly, did the war begin? Was it June 28, 1914, the day the Archduke Franz Ferdinand was assassinated in Sarajevo? Was it July 5, when Kaiser Wilhelm told the Emperor Franz Joseph that Imperial Germany would give the Austro-Hungarian Empire unqualified support in any military move against Serbia (the infamous “Blank Check” that so emboldened the Austrians)? How about July 28, when the Austrians declared war on Serbia, or August 1, when Germany declared war on Russia? You could also select August 3, when Germany declared war on France, or the following day, when Germany invaded neutral Belgium, prompting the British the declare war on Germany that evening. The American entry into the war would seem to be a more straightforward event to date, but that’s not quite the case. True, the United States Congress, at the urging of President Woodrow Wilson, declared war on April 6, 1917, but Wilson had already severed diplomatic relations with Germany on February 3, in response to Germany’s resumption of unrestricted submarine warfare. On February 26, Wilson asked the Congress for permission to arm American merchant ships. When some senators objected and threatened to block the legislation, Wilson proceeded via Executive Order, which has a rather modern ring. Other Americans did not wait for presidents and senators to act. In January of 1915, American aviator Norman Prince arrived in Paris, trying to convince the French Army to accept American pilots into their ranks, which led the creation of the Lafayette Escadrille. Prince himself flew missions on the Western Front and died after his plane crashed returning from a mission in October of 1916. But not all of the Americans who arrived at the Western Front before the American declaration of war were soldiers or pilots. In 1914 and 1915 there were the volunteer ambulance drivers of what would become the American Field Service. And, as soon as the fighting started, there were the doctors and nurses of the Red Cross, such as Frances Dupuy Fletcher. Frances Dupuy was born in Washington, DC in 1863, the daughter of a wealthy physician. Sometime before 1914, she married Englishman Keddey Ray Fletcher and moved to Andover in the south of England. Although she retained her American citizenship, as soon as the war started, she offered her house as a convalescent home, and began her training as a nurse with the Red Cross. 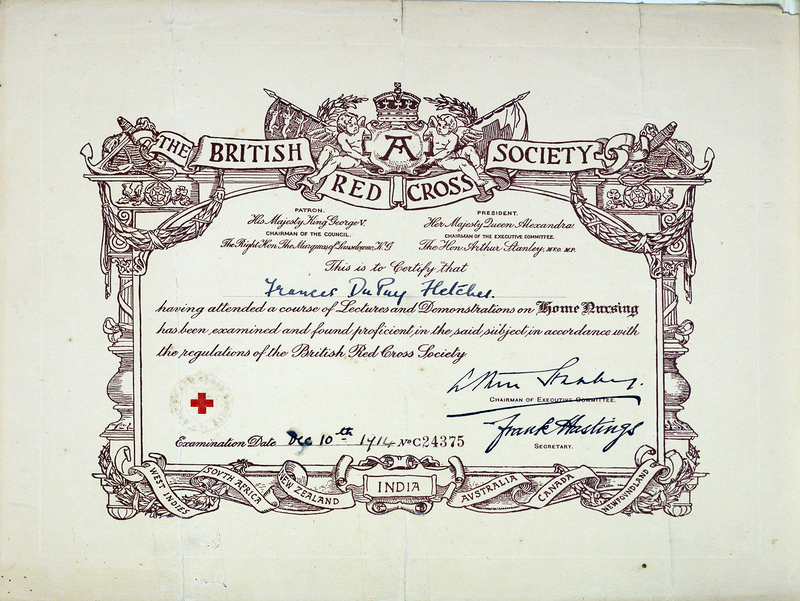 On December 10, 1914, Mrs. Fletcher, having successfully completed “a course of Lectures and Demonstrations on Home Nursing” was awarded Certificate #24375 by the British Red Cross Society. Eventually Mrs. Fletcher would become director of nursing in Hospital 23 in Houlgate, on the Normandy Coast. Fletcher’s Red Cross experiences as a nurse are documented in a scrapbook, now in the collections of the History of Medicine Division of the National Library on Medicine. The album contains nearly 200 hundred items, including 122 photographs, and many other items such as postcards, pamphlets, letters, ribbons, etc. The specific items can have a somewhat wistful ring. Her nursing certificate is there: a printed form with her name and various other official signatures. King George V is the patron of the society; his wife, Queen Alexandra, is its president. The form very much reflects the Empire as is stood in 1914, with a decorative border that includes the names of the various Imperial possessions: the West Indies, South Africa, New Zealand, India, Australia, Canada, and Newfoundland (listed separately). There is a photograph of the King in his Royal Navy uniform (taken from “The Daily Mail War Album,” and a rather romanticized drawing of the French Field Marshal Joffre, hero of the Marne and savior of Paris in 1914. 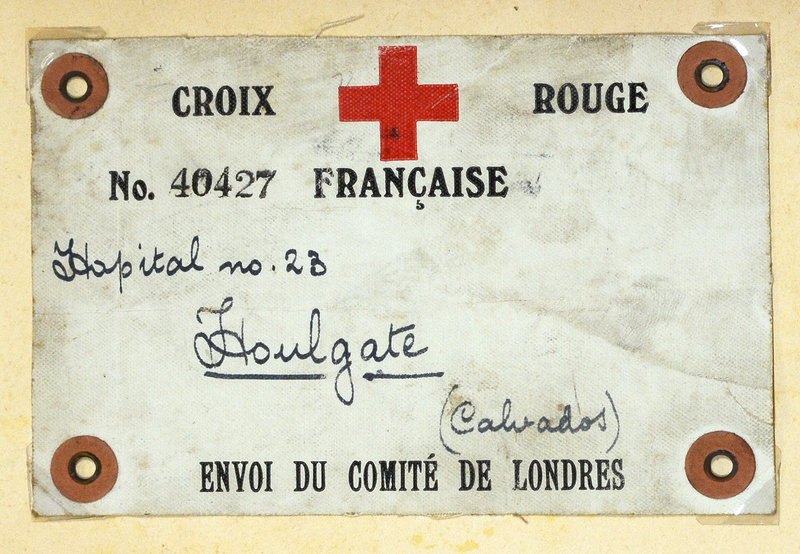 Also included is a Red Cross Pass (#40427) to enter and leave the hospital in Houlgate, and a British identification pass dated 1915. There is also a crudely printed colored drawing of a French soldier with three small children; the caption notes that the purchase of this card for two sous provides a pound of bread for the family of the soldier. But by far the most melancholy items are the photographs of the nurses and patients, all carefully captioned with names and places, but rarely dates. There are buildings clearly designed for other purposes, but pressed into service as hospitals and convalescent homes. One can see doctors, nurses, and patients in various combinations and permutations, but the stories of what injury or illness sent these soldiers and sailors to hospital, and how they fared later, cannot be gleaned from the laconic captions. The full arc of Mrs. Fletcher’s nursing career is not documented in this album, and there are no records stating how long she stayed in France, or how she lived after the war. But the album still provides a glimpse, however fleeting and limited, to what an American nurse, married to an Englishman, serving in France during the height of the “War to End All Wars,” saw and felt. 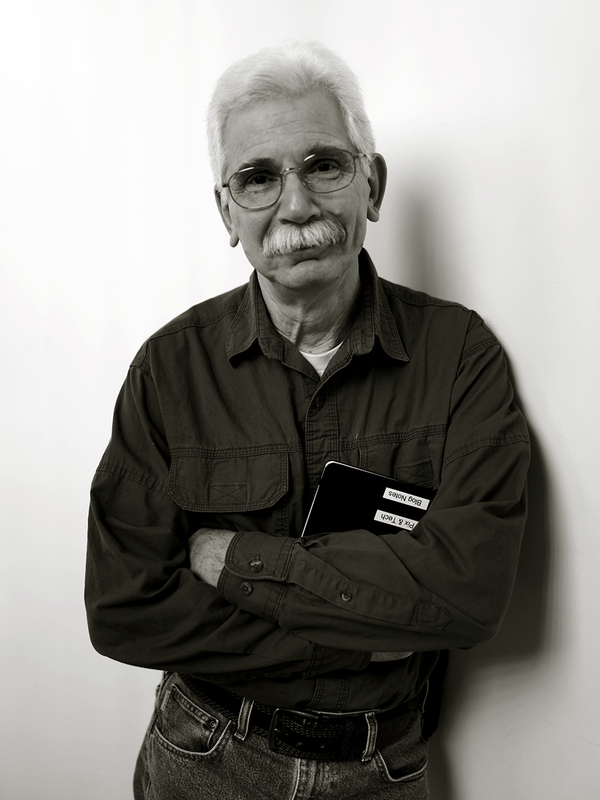 Stephen J. Greenberg, PhD, is Coordinator of Public Services for the History of Medicine Division at the National Library of Medicine.